Living… on an uncharted island three hours off the coast of Honolulu. Skipper, his one-man crew, and his passengers were on a three-hour tour from Honolulu when a tropical storm left them shipwrecked and stranded. While the island is close enough to clearly pick up Hawaiian AM radio transmissions, they’ve spent nearly three years on the island, waiting to be rescued. Profession… captain of the SS Minnow. Skipper served in the United States Navy and saved Gilligan from being struck and killed by a runaway depth charge. Once he retired, he used his savings to buy the SS Minnow, and hired his “little buddy” as first mate. He may regret this decision, as it was partly Gilligan’s fault for getting them stranded on the island. On the island, Skipper is the group’s de-facto leader, though he leads with a collegial and democratic bent. The only person he routinely gives orders to is Gilligan, whom always obliges. Interests… every aspect of the life at sea. He respects and fears the mysteries of the sea and the island. He is superstitious and believes in astrology. 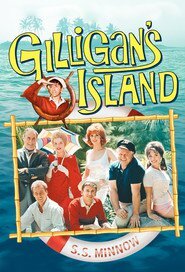 He frequently has to check the other castaways’ reckless behavior for their own safety and take the lead in manual labor projects – though Gilligan does most of the actual labor. Relationship Status… single with few prospects. Having put on a few pounds since his Navy days, the Skipper now has the additional problem of being stranded on an uncharted island. He has a crush on one of his fellow castaways, Ginger, but she likes the Professor, who likes Mary Ann, who likes the Professor back but feels confused because Gilligan likes her. Challenge… dealing with Gilligan’s clumsiness. As the leader of the pack, it’s up to the Skipper to take the reins when it comes to plans for getting them off the island. Every effort he makes is unintentionally sabotaged by Gilligan’s klutzy ineptitude, so Skipper often has no recourse but to conk Gilligan on the head with his hat. But they’re good friends, and they fundamentally need each other. Personality… loyal andsuperstitious. The Skipper believes in astrology and the supernatural, at times putting him in direct conflict with the Professor’s more rational, analytic thinking. He can waver between an infectious jolly nature and complete exasperation over the follies of others. He’s the rock of the island, though at times he can flirt with the irrational. He’s loyal to a fault – risking his life for Gilligan, then constantly forgiving him for jeopardizing his chances for escape. The Skipper's popularity ranking on CharacTour is #3385 out of 5,000+ characters. See our top-ranked characters and read their profiles.